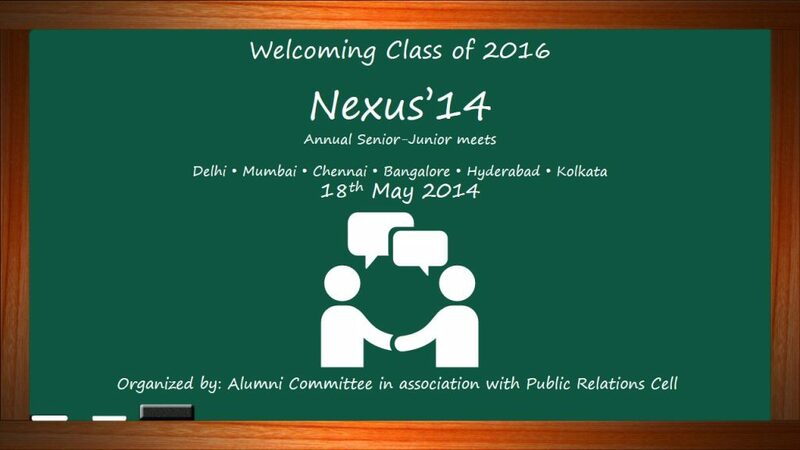 IIM Shillong is conducting a series of series of annual senior-junior meets called Nexus across 6 cities – namely Delhi, Kolkata, Mumbai, Chennai, Bangalore and Hyderabad on Sunday, 18th May, 2014 to welcome the incoming batch of IIM Shillong into the B-school journey. The highlight of this event is that it is attended by three generations of students of the institute – the new, the current and those who have already graduated. This lends a distinctive view to the entire event. The new batch shares their apprehensions and as and the older batches share their experiences of being a part of this wonderful journey. Nexus is jointly conducted by the Alumni Committee and Public Relations Cell of IIM Shillong, as an effort to strengthen the ties between all the members of the growing IIM Shillong family. The students of the incoming batch can also ask their queries and create conversation threads on the online portal Synapse. Technology aside, a tete-a-tete of this kind provides the best form of interaction. To know more details about Nexus venues and dates, students who have converted the IIM Shillong call can visit Synapse (http://synapse.iimshillong.in/).